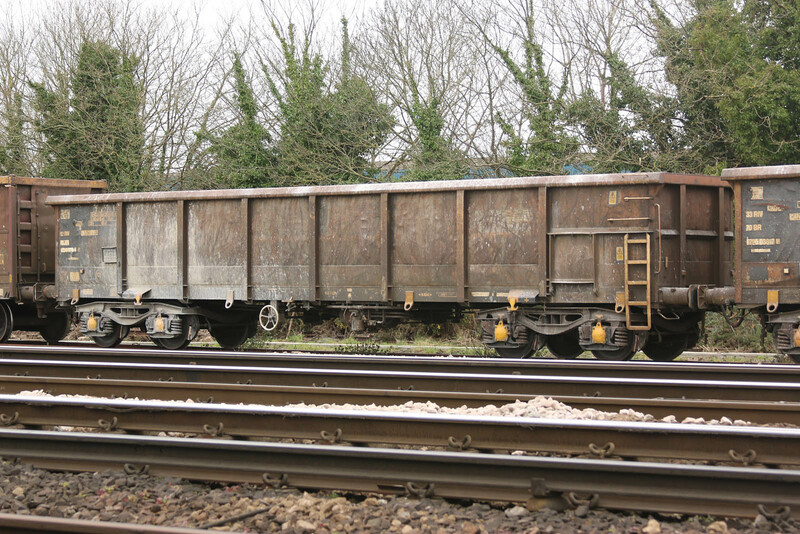 The operator of the facility at Southampton is Hope Construction Materials (company history on Wikipedia), and I believe that the facility is for supply of Readymix Concrete. The Dowlow Quarry is also operated by the company. The Hope Construction Materials company is currently being acquired by Breedon Aggegates. 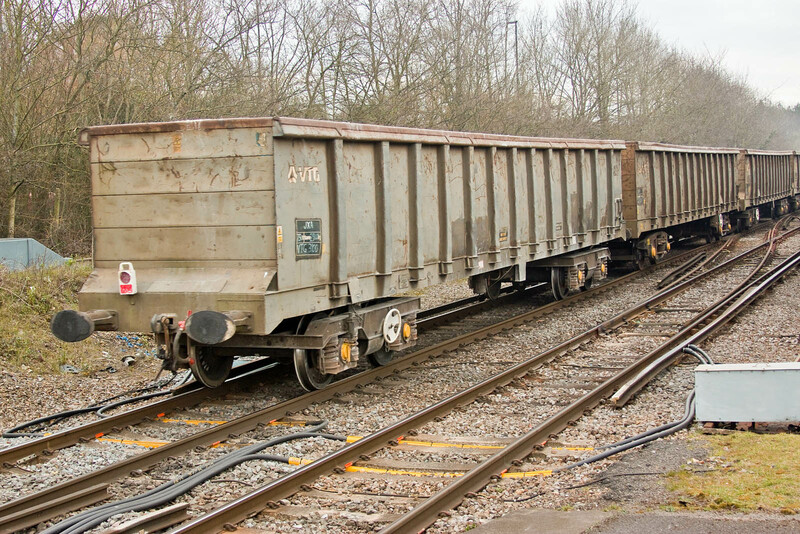 This Saturday the moving wagons are of different types from the VTG 34xx JNA group noted twice previously, although two of these were resident in the yard. 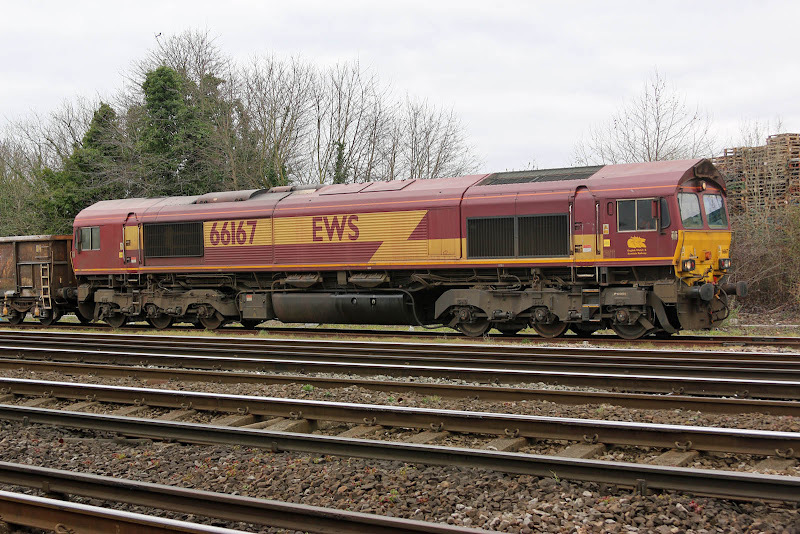 66167 in the yard sidings, having worked down from Wembley in the morning. The first two wagons in the train were 33 70 6790 038-7 (above) & 073-4 of JRA Open Box type, built by Arbel Fauvet in France in 1988-90, originally for Tiphook for Channel Tunnel construction traffic. JRA 33 70 6790 073-4. The rear four wagons were these VTG owned JXAs, built by Procor in 1982-83 (3100, 3119 and 3125) and 1986 (3151, running on different bogies). 3119 is seen above. 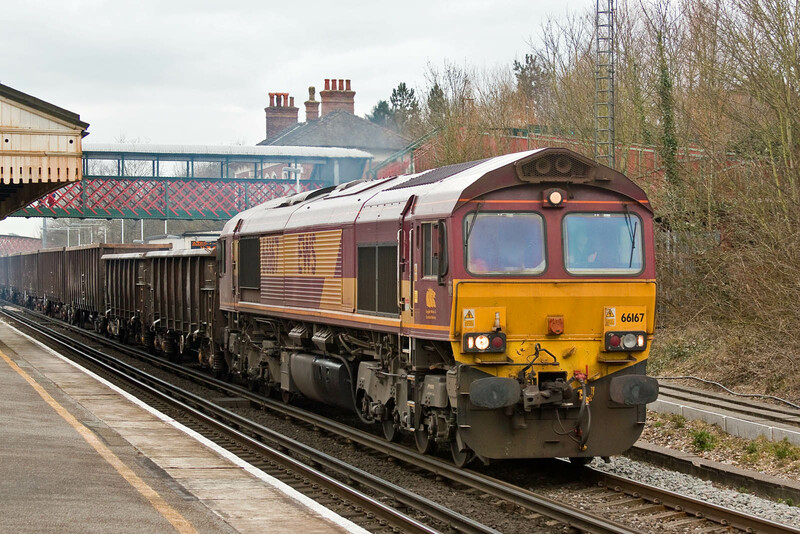 66167 is seen leaving through St Denys station, running about 10 minutes early, as seems to be typical for this working. 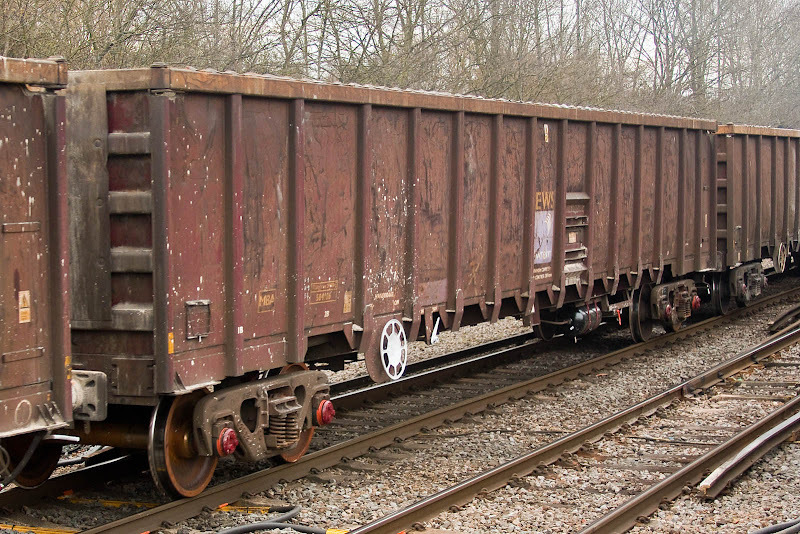 Eight wagons in the middle of the train were these MBA Bogie Monster Stone / Scrap / Coal Open Box wagons, built by Thrall Europa at York in 1999. These include 'inner' (AAR couplers) and 'outer' examples for semi-fixed operation, and 500106 seen here is an 'inner' example. The formation does not appear to follow strict rules and was outer - inner - outer - inner - inner - inner - outer - outer! I could only read five numbers - 500025/ 34 / 52 / 106 / 197. VTG 3100, originally leased by Procor to Sheerness Steel.